Diamond engagement ring season is quickly approaching. April, is the most popular month for engagements. This years most popular theme is vintage engagement rings. Vintage engagement rings feature hand engraved etched designs. Milgrain and filigree etching is also characteristic of vintage diamond engagement rings. Antique diamond engagement rings are also similarly referred to this style. Antique diamond engagement rings are also considered vintage or art deco. These unique and stylish engagement rings will set you apart from all the classic diamond engagement rings. These are some of our most popular vintage diamond engagement rings fashioned in 14k white gold, 14k rose gold, and platinum. We are constantly designing new engagement ring styles. Our designer looking vintage diamond engagement rings are high quality and half the price as other name brand mall jewelers. Halo diamond vintage engagement ring designs are mostly pave and prong set. Some come with matching milgrain bands. 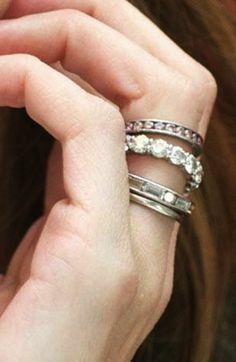 Be unique and show off your vintage style engagement ring and keep some cash in your pocket. This entry was posted in Engagement Rings, Jewelry Trends and tagged antique diamond ring, art deco engagement, diamond engagement ring, vintage diamond, vintage engagement on March 24, 2014 by blog1039.